Walsh Farm, NY. July 19-22, 2012. 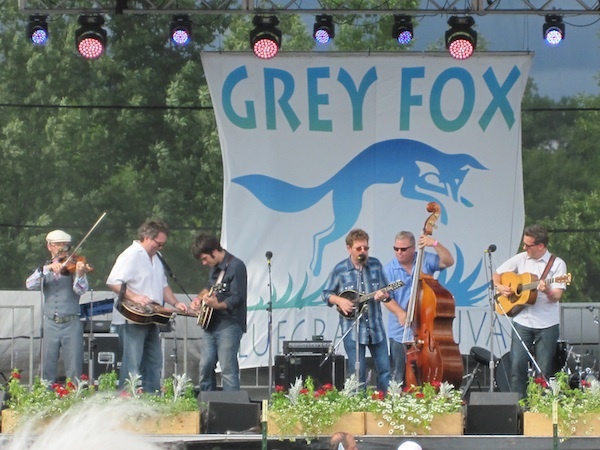 We attended the Grey Fox Bluegrass Festival this year. I’m just getting around to writing it up, but it would certainly take a long time to capture all its awesomeness. Summary version: 4 days of listening, picking, and sweating. Yes, it was hot and dry for the most part, which was good, but it also forced you into the shade quite a bit. 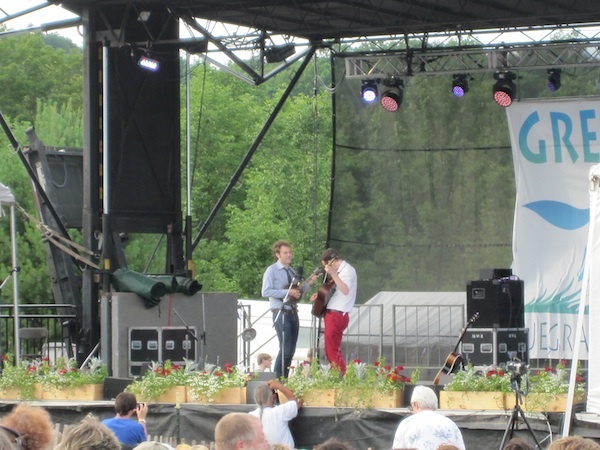 Luckily the Creekside Stage (aka Masters) was under a tent. We arrived Wed about 6. J and Jennifer had already staked out a campsite cuz they got their earlier. We were next to 20+ year GF veterans, who had an bunch of campers and giant tents. They drank, swore, and were generally loud, but seemed to settle down over the week perhaps as they became more hungover and subdued. 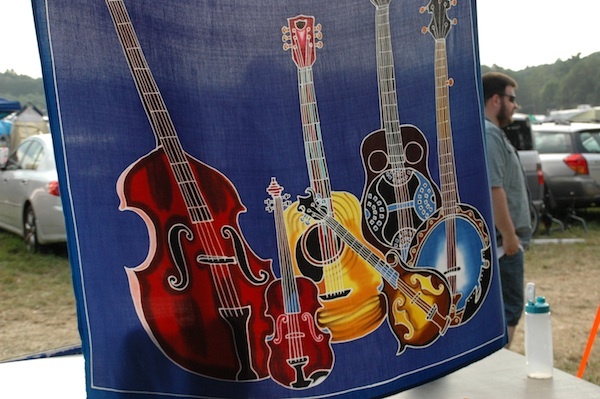 In the Picker’s Paradise, there is always a low hum of banjo and fiddle it seems. I posted some pics on my tumblr page. 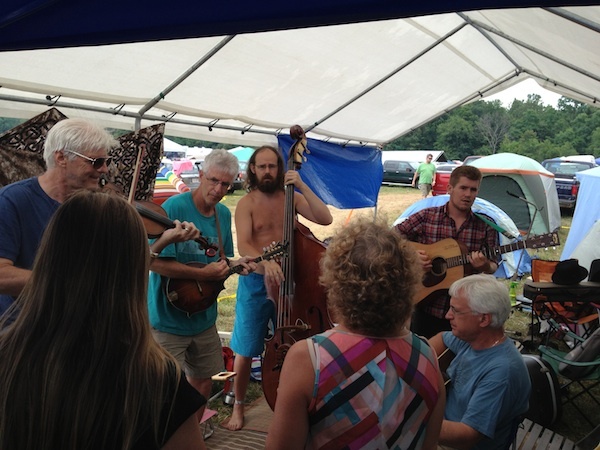 When not attending concerts or workshops, J and I jammed, mostly in our campsite area, once with some friends we knew there. The whole idea was to play as much as possible, so we did that. The food at the midway was excellent. 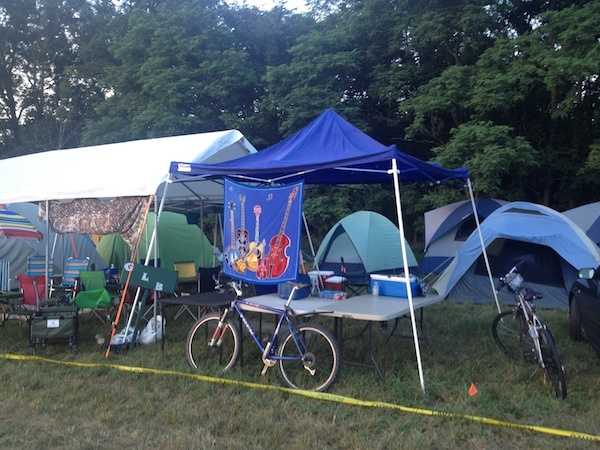 I didn’t feel that compelled to cook at the campsite – who wants to do dishes and whatnot? That’s it for now. 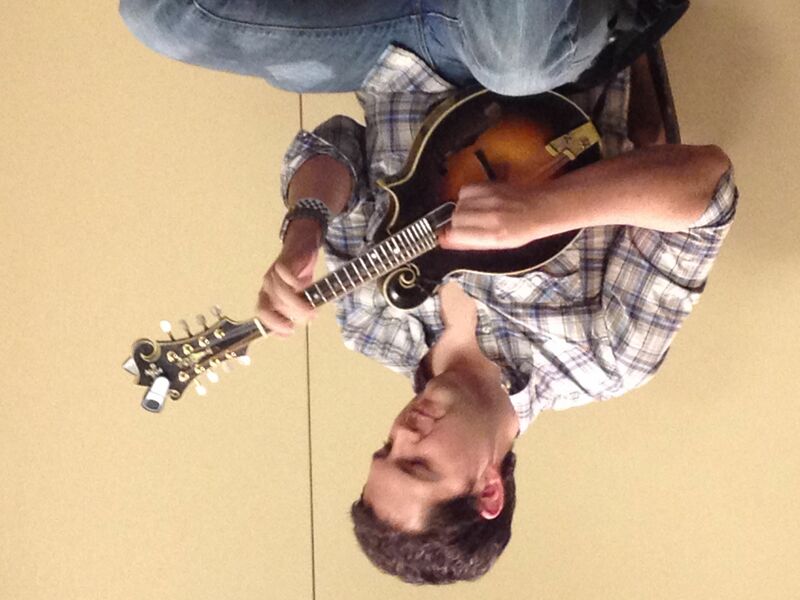 Sorry I can’t review every concert we went to…no time, gotta practice! It was fun to hear them play. J and I had been to Geoff’s open mike at the Cantab, and he is very nice and welcoming there, too. Next I went to see Charlie Lawson, who plays rhythm guitar for Michael Cleveland. 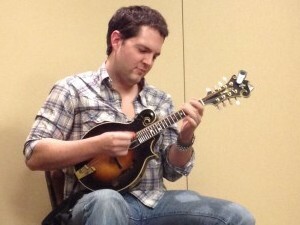 It also appears that they are good friends because Michael was there with him, but on mandolin instead of fiddle! The workshop was on rhythm guitar, of course, and Charlie said he’d never really done one of these before, but he was really good at explaining his thought process. Key to playing these fast tunes is certainly to stretch beforehand and to try to relax. If you’ve ever heard Michael Cleveland you know he plays fast! 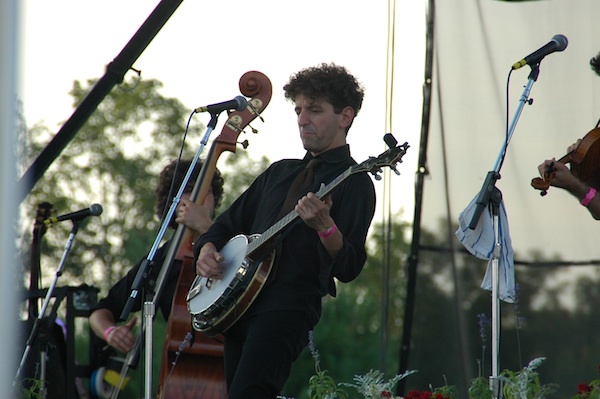 Charlie was influenced by Jimmy Martin and Jimmy Rodgers. I always notice that these performers always have a strong sense of the history of their instrument and can reach back for the most obscure records to listen to. They demo’d some things on Big Country, Sweet Dixie, and Waitin’ for a Train. 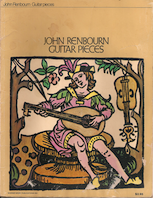 Another interesting guitar-playing tidbit was that he uses a fairly flexible pick (maybe .8? 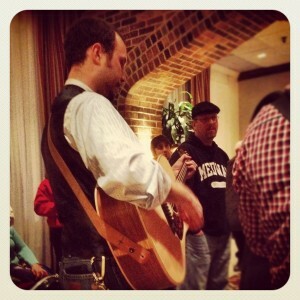 ), so he really only plays rhythm (and has a great voice, so he’s the lead singer in the band, too). Also, that’s Michael Cleveland’s 1944 Martin D-28 he’s playing and that sucker was loud. 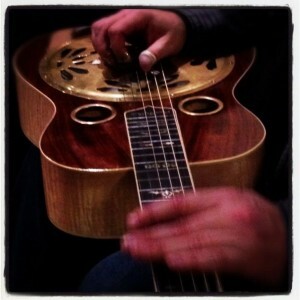 4 pm we went to the mandolin workshop led by Ashby Frank, again from M. Cleveland band. I think he said he was in his late 20’s, but boy could he play. Both Charlie and Ashby talked about various ailments they were suffering from – life on the road ain’t all roses, people. Ashby was more of a feel player and he said, ‘don’t do it like I do it, cuz it’s probably wrong’. The lesson is to find out what works for you by playing and listening. 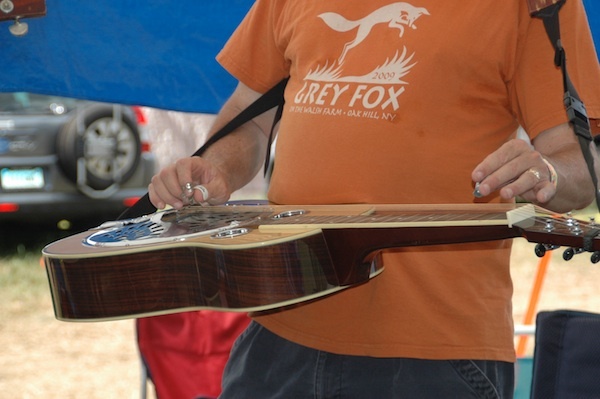 He demo’d a few techniques on Steel Guitar Rag (in E), Dailey’s Reel (Bb), and Roanoke. I think J came away with some to-do’s to work on. 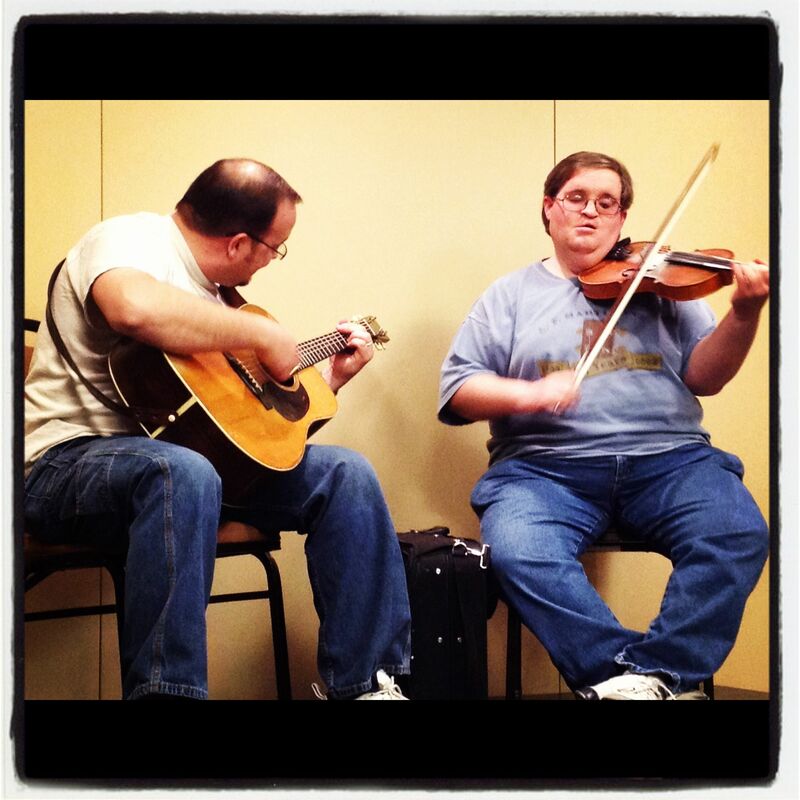 At 5 pm was the man himself, Michael Cleveland with a fiddle workshop. Again, Charlie Lawson accompanied him. He basically just took questions from the audience. First up was about his fiddle, which has 5 strings. It’s made by John Silakowski who’s out of Indiana, where Cleveland is from. The story goes that he somehow played this particular instrument and wanted it, but it was promised to someone else. That other person “didn’t like it” so it came back and end up in Michael’s hands. 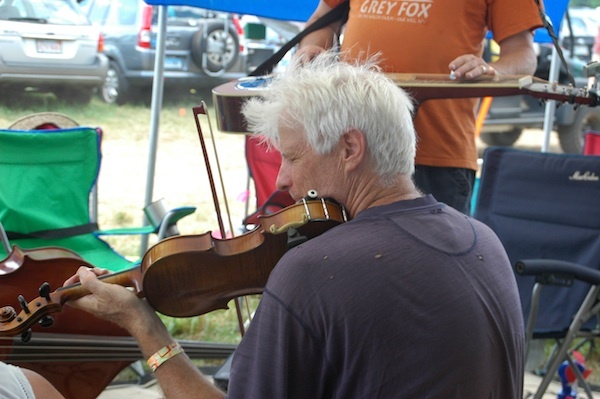 He’s another one with a strong knowledge of the fiddle tradition. Someone asked him about what to listen to and he reeled off a string of obscure old records you probably couldn’t find anywhere. 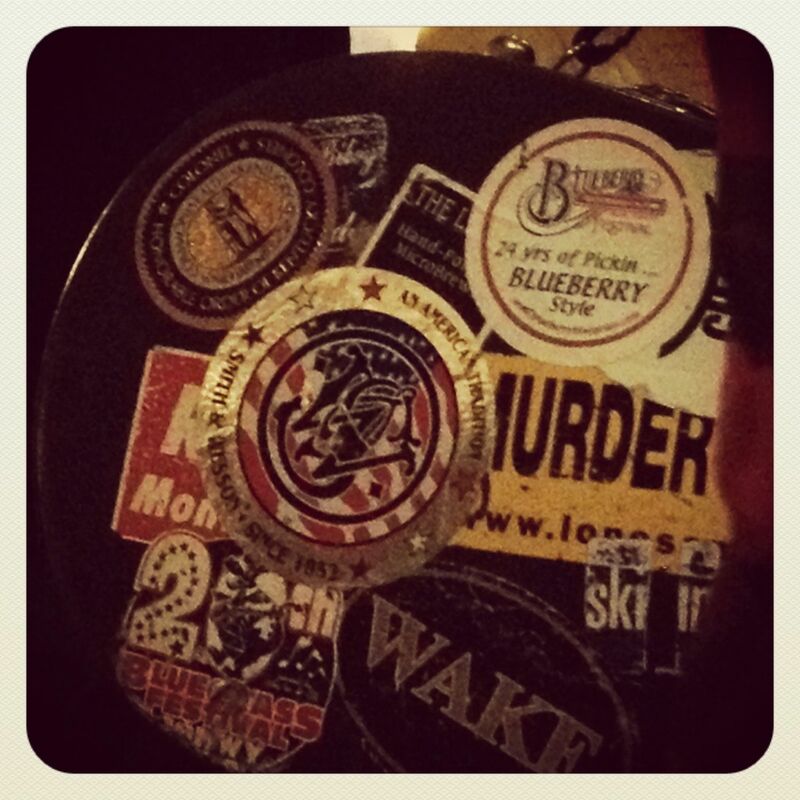 Tunes they played: Lost Indian, Orange Blossom Special!, Hear that Lonesome Whistle Bow, and Black Mountain Rag. 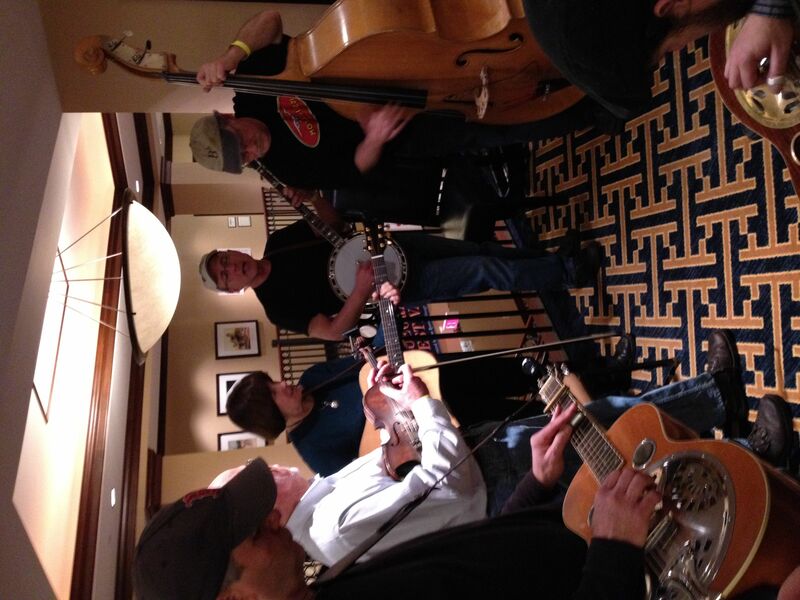 Now we were inspired to play some more, so we went out in the hallway to jam. It was 6 pm, so a lot of people were going to get some food. A big group showed up near us to jam also, so we went over to join them. They let J call the first tune, which was Temperance Reel. They weren’t really a fiddle tune crowd, but one of the fiddlers got on board with it. 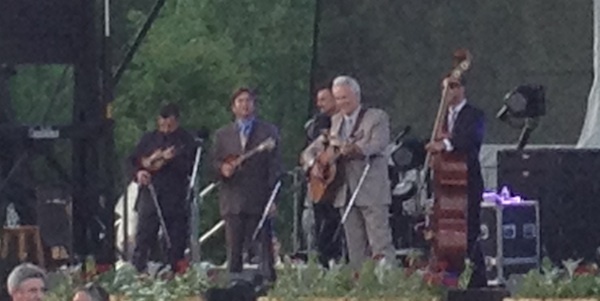 After that, it was a lot of Hank Williams and other standard bluegrass tunes. People came and went. J had to leave about 7:30 but I stayed and played until about 9, when my arm was going to fall off. At one point 4 fiddlers joined in and called some fast ones. Phew! Here’s a link to some stealth video of the jam that someone took and posted. It was fun. By that time it was 9 pm and food options were limited. 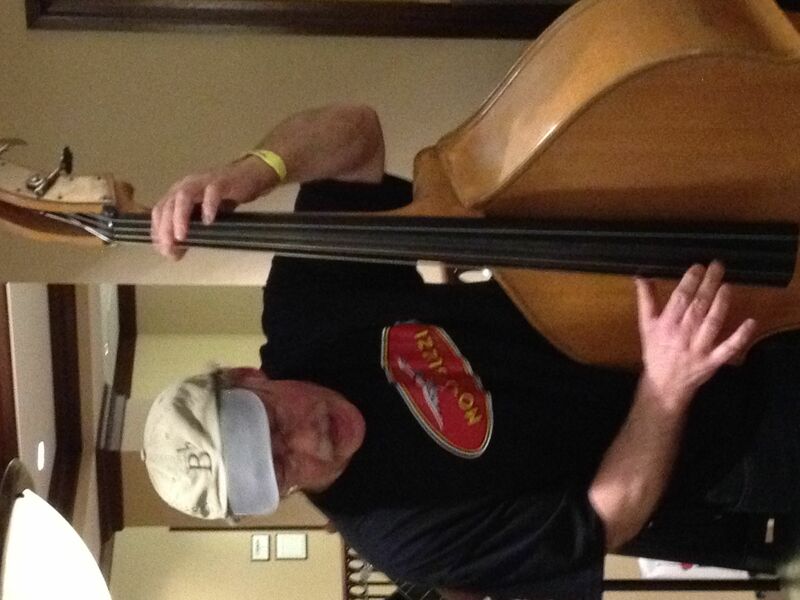 I hadn’t eaten all day, so I roamed the hallways and checked out the various jam sessions that were going on. I got myself some doritos in the hotel lobby to hold me over. I checked out the Claire Lynch band a bit, but I didn’t like them, so I wandered the halls again. There were some good players out there, for sure. Here are some photos I took. At 10:30 the Michael Cleveland and Flamekeepers was set to start. What a band! I think the Flame Keepers reference is about how much they light the place on fire! (or to say it properly, “faar”). 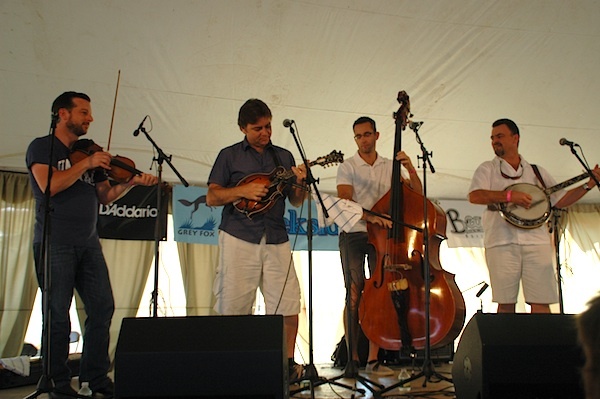 The repertoire is straight ahead bluegrass and country, in the tradition. And they don’t mess around with silly slow tunes, except for maybe the waltzes. I didn’t write down the set list this time, but they pulled from their albums, so go check them out if you haven’t already. They played until about 12:15 or so. Of course, the fiddle tunes they are known for, Orange Blossom Special and Jerusalem Ridge, came out and were administered to. I did manage to turn on my iPhone sound recorder for Jerusalem Ridge and it came out enough to enjoy. 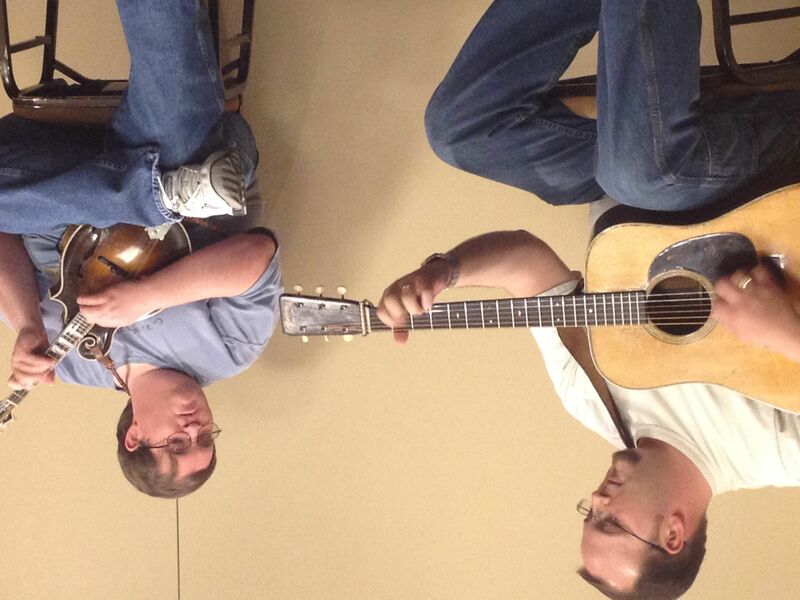 This is typically just a duet with Ashby and Michael on mandolin and fiddle. After that concert, I wondered the halls again and the jams were still going strong. 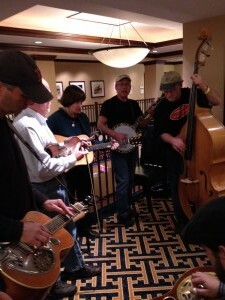 I stopped by one near the lobby where Josh Williams was playing with the folks from Flatt Lonesome, a.k.a. kids with braces! 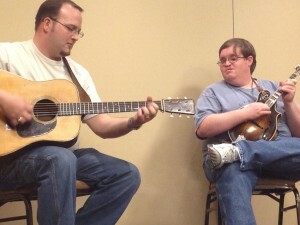 It was good pickin’ and singin’ however. 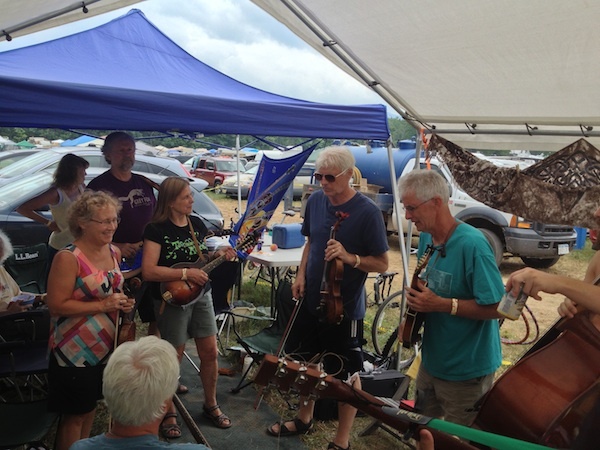 I got home about 1:30 that night, tired and hungry, but had a great day of bluegrass at the festival. 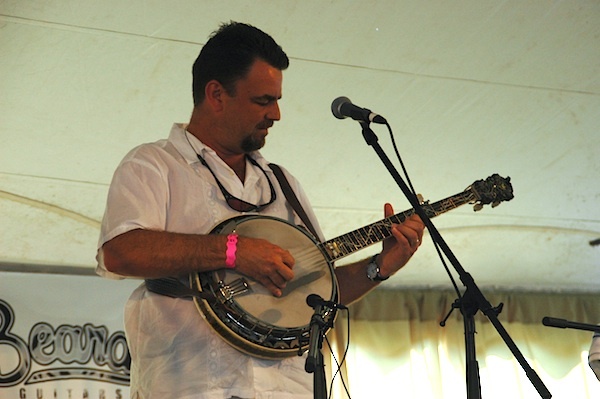 Second Cousin Curly posts a lot of bluegrass video and was at Joe Val. Some good stuff here. 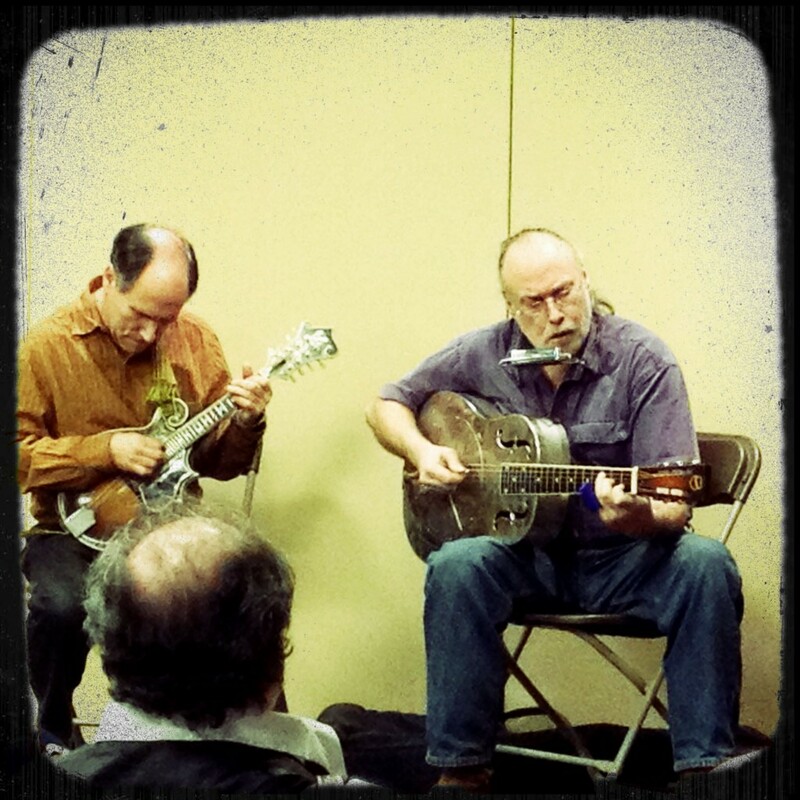 J and I played at the West Roxbury Open Mike, which J emcees each month. The video below captures our performance of Oh Susanna. We first played this tune up in Maine one weekend just goofing around and it stuck. After each taking a chorus for improvising, we play together in a counterpoint before taking it to the finish. Cold Frosty Morning > Old Grey Cat – this one we played 2 choruses of each tune and switched back and forth. The first one is in Am and the second in Em, gives it a cool effect. Blackberry Blossom > Kitchen Girl. Blackberry we did medium tempo 3 times through, then pick it up a notch for Kitchen Girl. It’s high energy. December 13, 2011. 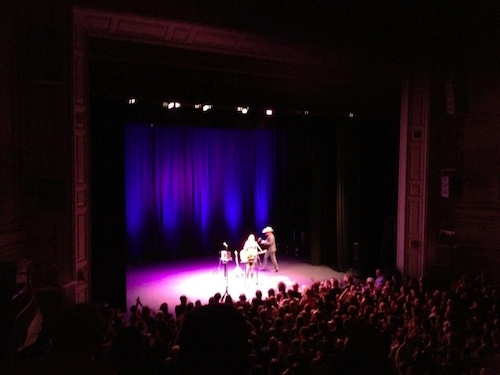 Boston, MA – I finally got to see and hear Gillian Welch and David Rawlings on their last concert of the tour. This was previously scheduled for Oct. 27 but got rescheduled due to a bout of laryngitis. It was certainly worth the wait, and as Gillian said during the concert, “It gave us a chance to fix a few things…” including a crack in her guitar (Gibson J-50, which you can see in the Fall 2011 issue of Fretboard Journal with Welch on the cover, showing the guitar with tape on it.) and a banjo repair. They seemed very relaxed and Rawlings family had come in from RI and were sitting right in front of us, adding to the familiarity. They are pretty funny in the banter dept. too. The pair were in fine form on this second night of two at the Wilbur Theatre, which is a great venue for them. We were in the mezzanine about 5 rows up and the sound and sight-lines were excellent. This was a “standing room on the floor” gig, which I think is a stupid way to enjoy a concert, but whatever…we had seats. Much better than the House of Blues when we saw Dave Rawlings Machine with Old Crow Medicine show and others, where the seats are too far back and the crowd was too noisy during the Rawlings/Welch set. The stage setting is very sparse, with only mikes on stage for the 2 guitars and 2 vocalists – no plugging in here, and they have the luxury of getting the sound just right with the microphones. The other notable stage prop is “The Box” which sits between them and contains everything they might need on stage, from strings to picks to harmonicas. The other noteworthy item was they had to stand on a rubber mat so they wouldn’t get shocked by the microphones! The music itself is just what I expected, and more. 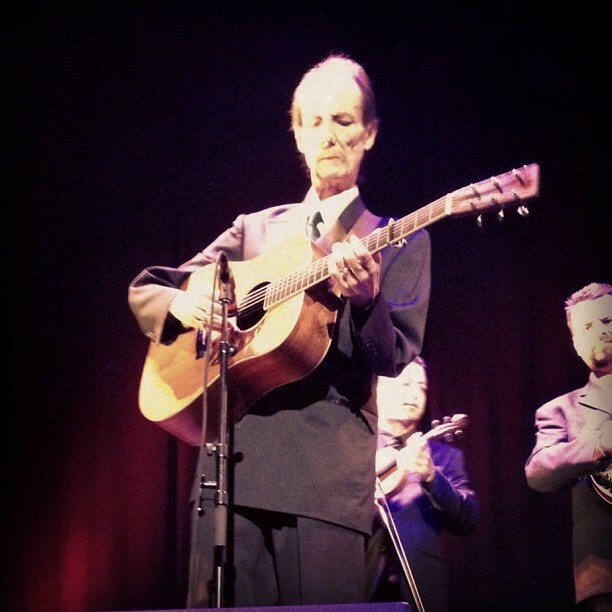 Welch typically will crouch down away from the mics and start getting into the right groove before beginning the song. It was a real lesson in focus and intimacy. While Welch holds down the rhythm, Rawlings weaves his magic in and around the vocals. Their voices blend so well, it is sometimes hard to tell who is singing without looking at them. They started with Scarlett Town, off of the new album, “The Harrow and the Harvest”. This gives plenty of room for both of them and got us ready for what was to come. Highlights for me were Scarlett Town (a great song, strong start), Make Me a Palette, 6 White Horses (with the dance – “I usually do this in private only…”), I Hear Them Alland the encores were just perfect, I’ll Fly Away with the audience singing along and ending with White Rabbit. I think they worked in all of the tunes from the new album and they sound like timeless classics, well-integrated with the older songs. 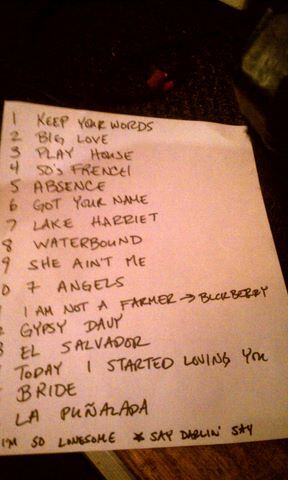 Gillian posted the handwritten set list to her twitter feed (@gillianwelch, but not much tweeting there). The concert started at 8:20 (I think they were late getting dinner at Legal!). The first set ended at 9:10. 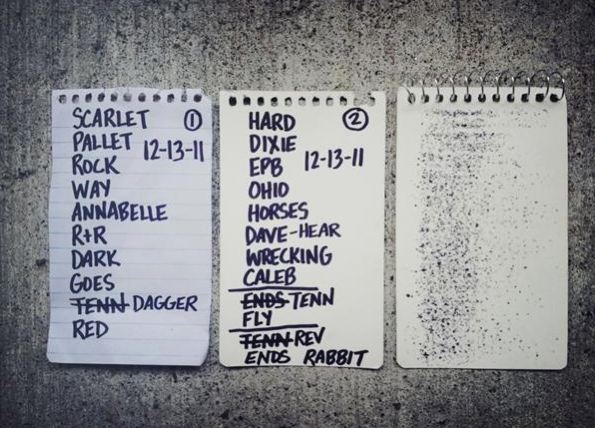 After a 20 min break, the second set was from 9:30-10:15 with the encores extending the show to 10:50. Here it is in text form…and more accurate, in my opinion. Ms Ohio – ‘she wants to do right, but not right now’ << classic line. I’ll Fly Away – audience sing-a-long! White Rabbit – turn up the reverb! 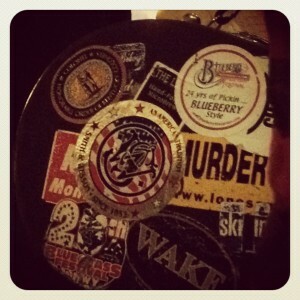 Other reviews worth reading: Jambands (includes good pic). Now, go buy the new album so they’ll make another one before 8 years passes by. 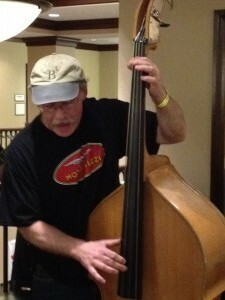 June 14, 2011, Cambridge, MA – Catching up on my concert reviews for 2011. I really should do this right after the event happens….I have been listening to Carrie Rodriquez for a few years now and love her. 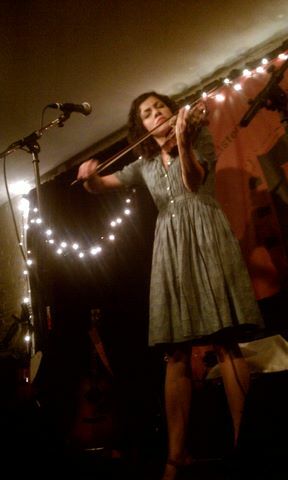 She’s another one from Austin and is known for her fiddle playing as well as singing and songwriting. I recently saw her perform on The Colbert Report with Jeff Bridges – I’m guessing I was one of the few who actually recognized her. 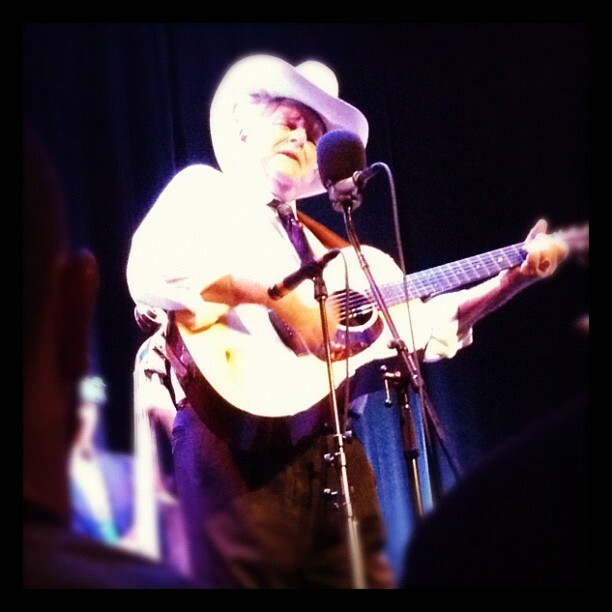 As you can see from the picture I took, I got a table in the front row at Club Passim, aka my favorite music room. She only had one other musician on this gig (whose name escapes me, sorry) who switched among pedal steel, electric, and acoustic guitars. Carrie herself moved from fiddle to mandobird to tenor guitar. She can really play and her style moves from down-home country fiddlin’ to indie singer-songwriter. The set included new songs from her latest album (which I just bought on Amazon for only $4.99!) as well as some of hits from her past albums, like She Ain’t Me and Seven Angels on a Bicycle. I didn’t realize that the latter song was about a friend who had passed away and this story added some extra poignancy to the piece during the show. She seems to be constantly touring, so next time she’s in your town, go see her and support live music – that’s how they make their money, people! I think the only disappointing part of the night was that the club was not completely full, perhaps due to the Tuesday night slot. The traditional picture of the setlist.